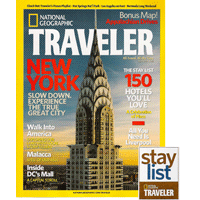 FARGO, NORTH DAKOTA – The Hotel Donaldson has received praise from publications and organizations around the world for its well-appointed rooms, quality service and sense of place. To that, they add an honor specific to their food. The HoDo Restaurant, located on the hotel property, was recently granted a Four Diamond rating by the AAA, a coveted designation awarded to fewer than three percent of AAA-recognized restaurants. The restaurant is currently the only in the state of North Dakota to be given the award. 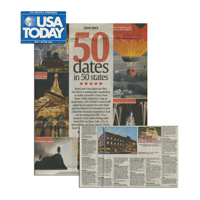 “We’re very pleased to receive this recognition from such a trusted and respected organization. It’s important to us that we create exceptional food using raw, natural, organic and sustainable ingredients from our region. 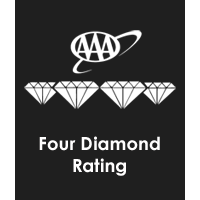 To have this recognized by being the only AAA 4 Diamond in our State is an honor.” Karen Stoker, Hotel Donaldson owner, said. The designation means the restaurant will be listed among the nation’s premier restaurant offerings and will be able to use the rating system from the trusted, 110-year-old organization in its promotional materials. About The Hotel Donaldson: Located in downtown Fargo, North Dakota, the 118 year old building reopened in 2003 after a 3 year renovation. The Hotel features 17 rooms appointed with original work from regional artists. It seeks to create memorable experiences by celebrating the community’s arts. The property also includes The HoDo Restaurant, The HoDo Lounge, private event spaces and rooftop garden. About The HoDo Restaurant: Located in The Hotel Donaldson, The Restaurant features seasonal menus of house made dishes with a focus on natural, organic and sustainable products from area purveyors. HOTEL DONALDSON, Fargo, N. Dak. Urban-chic rehab of 1894 fraternal lodge, sparkplug of downtown. Each suite designed around local artist – one with bathtub that fills from ceiling; all with Bose stereos. Rooftop planted with prairie grasses, hot tub. Restaurant known for local bison and regional art. 17 rooms; $170-330. Forget the Coen Brother’s black comedy. Far from being a frozen wasteland, Fargo has the makings for a dreamy weekend – starting with the sophisticated, contemporary Hotel Donaldson. All 17 rooms are designed around the work of a regional artist and include such amenities as Bose stereos and heated ceramic-tile floors: food and drink ranges from organic bison and artisanal cheeses to “Spank My Monkey” martinis. Don’t miss the rooftop hot tub, surrounded by prairie grass. Flat-screen TVs, luxurious bedding and Wi-Fi in every room. You’d expect these goodies in an urban boutique hotel, but in Fargo? The 17-suite Donaldson isn’t just unexpectedly chic, it’s a neighborhood anchor. Its restaurant and two bars are among the city’s hottest spots, and owner Karen Burgum has boosted the local art scene by displaying works from more than 50 artists. BONUS: The huge rooms feature heated bathroom floors to keep your tootsies warm during those long Fargo winters. You betcha! Boutique hotels tend to sprout up in hipster locales – think Frisco and SoHo. Now, North Dakota has HoDo. Yes, this is Fargo-a city once dissed on the big screen and now bent on re-invention-which recently spawned a poster child for upscale lodgings in the Hotel Donaldson. Originally built in 1893, this comeback kid was the vision of Karen Burgum, who renovated and reopened the brick hotel in 2003. Hotel Donaldson provides comfort with no starchy fuss. There’s a not do history in exposed rafters and creamy brick, but don’t look for Victoriana. Instead, works by local artists are displayed amid sleek eclectic-modern furnishings in the hotel and its restaurant, Untitled Restaurant Gallery. In the 17 bright and airy suites, class is standard, with hight-thread-count cotton sheets and down comforters, Aveda bath products, plasma TVs, and high-speed Internet hookups. Two suites include Jacuzzis. 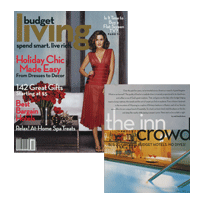 Guests can enjoy the hot tub on the landscaped roof deck and fully equipped fitness room in the basement. Meals are high quality, too. The daily happy hour and European-style breakfast buffet take place in the common room. Downstairs, Untitled offered entrees such as luscious bison tenderloin and striped bass filets in jalepeno-fennel sauce. The adjacent bar, HoDo, serves tapas and upscale sandwiches in a quirky, colorful setting – counter stools are swathed in beaver fur, and an eye-popping mixed-media mosaic covers one wall. WHY: Despite the Coen Brothers film, its namesake offers chic galleries, hipster hangouts, and one very haute hotel that even caught the eye of Travel + Leisure magazine. STAY: Formerly a flophouse, the Hotel Donaldson (888-478-8768, hoteldonaldson.com) has seventeen suites designed by regional artists. All rooms have heated floors, flat-screen TVs, and Bose stereos. Rates range from $165 to $330. EAT: It’s hard to believe there would be a martini bar in the Coen’s Fargo, but Monte’s Downtown (701-526-0149) shakes up thirty martini varieties, served along with sophisticated comfort food in an urban setting. PACK: A swimsuit for the hotel’s year-round rooftop hot tub. P.S. : Movie buffs head to the classic Fargo Theatre (701-239-8385, fargotheatre.org) – especially for weekend midnight movies. Why? Because if only one thing proves Fargo is no frozen wasteland, it’s the Hotel Donaldson. What? When the Coen Brothers started filming Fargo a decade ago, little did they realize it would provide a spur for the eponymous city to change its image. Although only the first give minutes of the movie take place there, the town was indelibly cast in cinephiles’ minds a Nordic dead end populated by overly polite, slow-moving, fuzzy-thinking, funny-talking Scaninavian-Americans. Fargo residents were incensed, especially after the Coens dubbed the city “Siberia with family restaurants”. But their anger also brought a change for the better, as millions of dollars were pumped into regeneration projects. The change over the last decade has been so huge that some American travel writers are now calling Fargo the hottest thing between Minneapolis and Seattle. And there’s no doubt that the Hotel Donaldson plays a major role in the city’s newfound status as a hip hangout. Set in the middle of the picture-postcard, eight-block Broadway (the city’s main drag), the Donaldson is the product of local businesswoman Karen Burgum and has fast gained a reputation as one of the finest hotels in North American, combining class, style and culture in a relaxed way that makes you feel at home. (Despite the splendour, the staff dress in faded Levis and black T-shirts.) The design is all exposed brick, neutral colours and sleek minimal lines, and each of the eighteen rooms is individually styled with paintings by local artists, including Karen’s kids. There’s no expense spared on the fixtures and fittings, which included heated marble floors in the bathrooms, and high-tech amenities such as plasma TV screens, DVD players and wi-fi access. The hotel also has an excellent restaurant, Untitled, and fine menu featuring a sumptuous bison steak. And while London and New York both have SoHos, the Donaldson has HoDo, a classy cocktail bar, and the Sky Prairie – a rooftop, guests-only bar with its own hot tub, to help stave off the bitter chill of winter. What else to do in North Dakota? Vist the Plains Art Museum in Fargo, one of the only seven hundred accredited museums in the USA, or the Hjemkomst Museum in Moorhead, which houses a replica Viking ship that local residents sailed to Norway. Take in an arthouse flick in the restored Art Deco setting of the Fargo Theatre. TOPIC: How the one-year-old Hotel Donaldson became an icon of cool, how it surprises non-North Dakotans who did not expect to find such interesting people in such a groovy place. 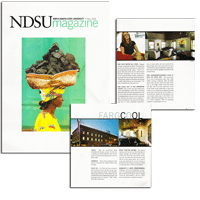 EXAMPLE: Owner Karen Burgum’s been the first stop when the notional media came to Fargo. SUCH AS: L.A. Times, the first to discover the new home of cool, says the city has “quietly, subversively gone trendy.” National Public Radio talked about how North Dakota has low unemployment and is adding high-tech jobs, and becoming known for “hipness.” NBC’s Today Show did a similar piece. WHAT THEY’RE SAYING: The national reporters note that the new Hotel Donaldson is upscale, boutique and would be right at home in New York. The hotel rooms, the bar and dining room, all urban chic. But this place coud only be in this region. Beaver fur is used to cover some stools, the bar curves in homage to the Red River, the dining room chairs are etched in a pleasing shape to follow the Red River. SHE SAYS WE’RE ALL COOL: Burgum is happy enough that the Hotel Donaldson has become an icon for newcomers to understand the community and the region. “They’re surprised when they walk into the hotel because they had a stereotype,” she says. But her point of view is that the hotel is simply a reflection of the people who live in Fargo and North Dakota. “this project couldn’t be anywhere else because it really is about who we are in this region,” she says, in virtually all of the interviews. THE LOCAL ART IS THE CROWNING TOUCH: OK, so three years ago, Burgum has a great old building to work with, an architect she’s crazy about, it’s moving along nicely. And yet, for a time, she feels something is missing. “In thinking about what the rooms would look like,” she says, “they didn’t have a soulfulness.” This was troublesome. Her goal from the beginning was to “create memorable experiences” and so simply pretty and nice would not be good enough. And so she continued to fret, until “that little bit of discord opened up” a great idea: The rooms would be designed around the work of local artists. THE LOUNGE/RESTAURANT ALSO IS FULL OF LOCAL ART:The room comes off as part bar/restaurant, part crazy Aunt Nellie’s furniture collection. After the initial chock wears off, the curved lime green chair next to the bright orange bench seat seems just right. And if you get a good seat in one of the booths on the south side, or one of the stools, you can spend hours looking at the large mosaic that covers the wall on the hallway to the bathrooms. Mostly tile, some granite, and a few broken coffee cups, it also holds a lava lamp, a Waterford champagne flute, the cover to a cellular telephone. There are paintings, sculptures, a photograph. It’s cool. The Hotel Donaldson in Fargo, North Dakota, originally built in 1893 by the International Order of Oddfellows and later converted into a workingman’s hotel, is now a swanky, artsy place to dine and stay. 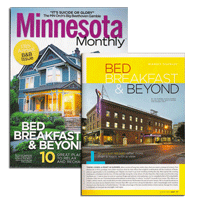 In spring 2000, Karen Burgum, a longtime North Dakota resident, purchased the rundown building and hired Barbour LaDouceur Design Group, Minneapolis, to design the renovation. 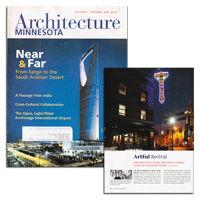 Burgum wanted to “honor the old” aspects of the hotel by preserving architectural historical elements, while showcasing regional artwork in a renewed hotel setting with contemporary amenities. Rather than completely gutting the building the building the design team embraced its history. “We wanted to bring out the story of the building and adapt it to a modern program,” says John Barbour, AIA, principal. So when original wallpaper was uncovered during demolition, the design team left it there and had it framed. Similarly, original beams and brickwork are exposed throughout the 28,000-square-foot building, and new woodwork was milled “in the spirit of the old but with a modern touch,” Babour explains. The facade of the building posed an interesting challenge. Since 1916, the street-level retail storefronts had been haphazardly changed. “There was a real variety-a metal section, next to a barn-board storefront, followed by ‘lick and stick’ brick,” Barbour says. The design team and client decided to remove anything that was new since 1916, and to replicate the original facade as much as possible. This included re-creating brick columns, customizing fiberglass trim that had previously been cast iron, and making a new Donaldson marquee sign from original moldings found at the Fargo signage shop that had created the first sign nearly 90 years ago. The desire to display regional artwork played a role in the design of the hotel’s rooms and public spaces. “Even with beautiful furnishings, hotel rooms often lack should,” Burgum says. “Artwork gave this project the inspiration it needed.” In the hotel’s 17 guestrooms, unique ledges and niches support sculpture and pottery, and ample wall space provides a place for hanging two-dimensional work. The furniture is subtle with clean lines in order to not distract from the art. The rooms incorporate such historic details as exposed brickwork, yet include modern luxuries like Internet access and flatscreen TVs. In one room a large bathtub fills from a faucet mounted on the ceiling. The hotel’s elegant sleeping rooms are supported by a variety of spaces in which to eat and drink and whose designs were inspired by the region’s natural environment. A mosaic wall of found objects created by a local artist leads visitors from the hotel’s entrance, past bar stools covered in beaver fur, into the main room of HoDo, where the elm- and oak-wood bar is curved to resemble the Red River, which winds through Fargo. The basement lounge, Stokers, utilizes the former coal room, with its curved brick ceiling, as a wine cellar. SkyPrairie, on the roof, features a small garden of native plants, a heated tile floor, a hot tub and bar/serving area. In addition, the hotel houses an exercise room in the basement and a public gathering space on the second floor (near the hotel’s check-in desk) where breakfast is served in the morning, and wine and cheese in the evening. The third floor houses the Oddfellows Reading Room, named in honor of the building’s original occupants, and the Great Plans conference room, which occupies the top half of the former light well. A skylight brings sun into the conference room, three sides of which are lined with original tin. In each of these spaces, artwork from pottery to photography, hand-blown glss to panting, is highlighted. The artwork featured in the hotel isn’t limited to only the visual form, however. Local musicians play in the hotel’s bar and their CDs can be found in the guestrooms. Literary events celebrate local authors and the hotel’s growling library includes books by regional writers. “A hotel stay can do more than just refresh the body,” Burgum says. “It can renew the senses, inspire the mind, revive the soul and connect a person with their surroundings.” With its thoughtful design, regional artwork and modern aesthetic within a historical setting, the Hotel Donaldson does all these things remarkably well.